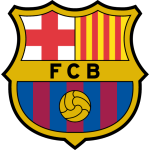 Real Betis vs Barcelona predictions for this Sunday’s game in Spain’s La Liga as Betis aim to complete a historic double over the Catalan giants. Read on for our free betting tips and predictions. Overall backing Barcelona & Over 2.5 Goals looks a pretty safe bet while going for Barcelona & Both Teams to Score could also be worth considering as it should be a relatively open game and Betis do have enough quality to create chances. Luis Suarez has also been a key figure for Barcelona with 4 goals in that vital 5 match run and backing Suarez to score anytime might be worth a punt in this one at reasonably appealing odds. Barcelona have only lost one of their last 15 LaLiga games versus Real Betis (W11 D3), however that defeat did come in this season’s reverse fixture (3-4). Barcelona are on the longest current unbeaten run in LaLiga, having not lost any of their last 15 games in the competition (W12 D3). 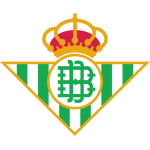 Betis lost their last league game at the Benito Villamarín (1-2 v Getafe), while they haven’t lost consecutive home games in LaLiga since December 2017. Barcelona have won 20 points from losing positions in LaLiga this season – the most of any team in the top five European leagues. Barcelona (64.8%) and Real Betis (63.8%) are the two teams with the highest average possession in LaLiga this season. Barcelona’s Lionel Messi has scored 16 goals in 18 league appearances against Betis, however only four of them have been at the Benito Villamarín. Barcelona’s Lionel Messi is the top-scorer (26 goals) and the top-assister (12 assists) in the top five European leagues this season. Barcelona midfielder Ivan Rakitic made his 50th assist in LaLiga in his previous appearance (28 for Sevilla and 22 for current club Barcelona). Barcelona’s Ivan Rakitic has scored five goals against Betis in LaLiga (three with Sevilla and two for Barcelona), his most against a single opponent in the competition. Quique Setien is looking to become the first Real Betis manager to record a league double over Barcelona, following their win at the Camp Nou earlier in the season.